You will have heard how important it is to protect yourself from being sued. Dental malpractice is a rising phenomenon which should be taken seriously unless you wish to put your license to practise at risk. The fact is, if a dentist's treatment for a patient can be proven to be substandard it increases the chances of a lawsuit. Dentists must recognise the duty of care that is owed to a patient. 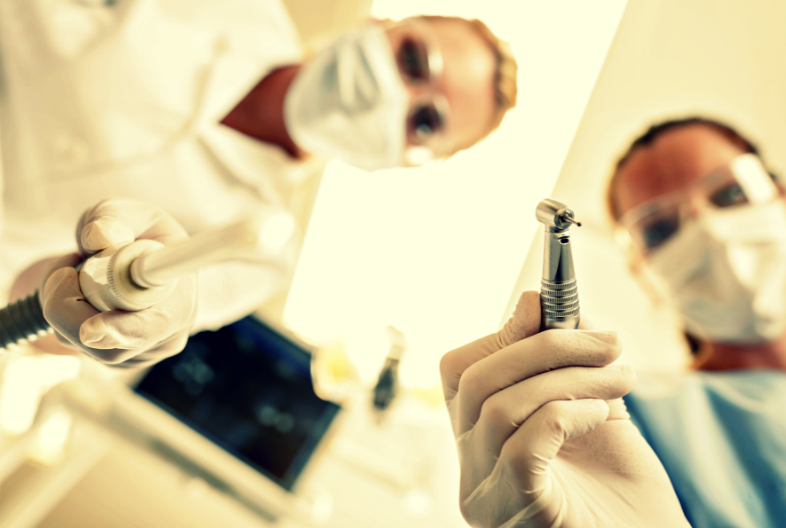 Since any form of breach of duty of care could result in legal action against the dentist. The basis of any civil lawsuit against a dentist would mean the treatment given to the patient contributed to the unnecessary pain, suffering or injury to the patient. The question that needs addressing is why do most dentists think they will never face a malpractice lawsuit? Surely by exploring such a question, it would help a dentist avoid being sued. So is it a case of being complacent and feeling satisfied with your own abilities because unless you're one of those people who actually think about all possibilities the idea of your practice facing a legal action might not be something taken into consideration. As mentioned above, the duty of care owed to a patient is important. You may wonder what is the duty of care and how it is owed to a patient? In simple terms, the concept of duty of care owed to another person would be mean an obligation is placed on a dentist to avoid taking actions or making omission which are foreseen to injure or harm the patient. The issue of a patient suffering a civil wrong due to the actions of a dentist would be examined under tort laws. It is often seen in many cases of medical negligence there has been a breach of duty of care. It is assumed dentists would be aware of their duty to comply with the standard of care which they need to provide for a patient according to medical and dental guidelines and regulations. The fact of the matter is in many claims of negligence the dentist did not provide the adequate standard of care. In the event of a breach of the duty of care, it would mean the dentist has been negligent in the standard of care of a patient. The requirement for the standard of care can cover various issues to do with the medical care of a patient. For instance, it is not sufficient to just diagnose and provide treatment for the patient. It would be a good idea to provide enough information to the patient before the start of the treatment an what the patient can expect as the result of the treatment. In any negligence claim, there must be evidence of injury or damage due to the treatment given by the dentist. They type of lawsuits which stem from medical negligence are complex and cover issues to do with not being given the right treatment. For instance, claims of negligence can involve the patient being misdiagnosed, given inadequate treatment or the work carried out on a patient is of a careless nature. However, as often is the case in dental treatment any form of natural pain or suffering would be automatically amount to a claim for negligence. The quality of care given to the patients is very important and a feedback service should be provided to help address any concerns. The dental practice should be fully equipped with handling complaints. The quality of care should be focused on the treatment and providing the patients with a high level of safety at the dental practice. The focus of the duty of care should not only be concerned with the care of the patients but also their safety too. It would be good to check the risk management system of the dental practice and make sure it it adequate to handle complaints. Furthermore, it is a good idea to keep up to date with the new developments in the field of dentistry which could help to provide the right level of care to a patient. The aim of any dental practice must be to make sure their dentists have full knowledge as to what they are doing. In essence, the objective of a good dental practice would be to have in place a check and balance system to check the competence of their staff and maintain a high level of care. It is also a good idea to get written consent from the patients before any complicated or risky procedures are carried out. They use of obtaining informed consent from the patient can help to reduce the chances of a dispute and provide evidence as to what has been agreed with the patient. The issue which needs to be taken into account is a contractual relationship can exist between a dentist and a patient by express or implied terms of agreement. However, in recent years the scope of negligence clams have been widened to include claims made to the courts in which no contract existed between the claimant and the defendant. The continual evolution of the law would mean a dental practice needs to keep up to date with the changes and to make sure a system is in place to limit the chances of claims made against them. However, indemnity providers do no offer cover and support to protect against being sued, but that does not mean proper measures should not be put in place to reduce the chances of being sued. What are your thoughts on SJ solicitors tips? Let me know in the comments below. How are the Community Dental Services changing?